Linear prediction theory has had a profound impact in the field of digital signal processing. 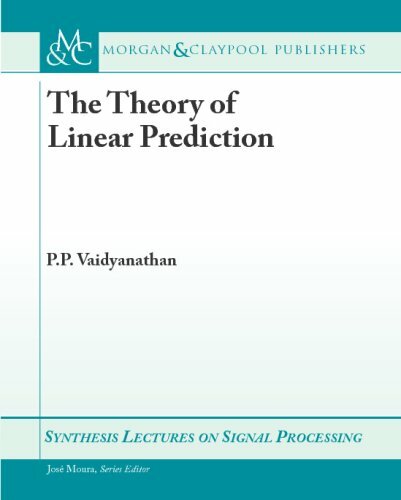 Although prediction is only a part of the more general topics of linear estimation, filtering, and smoothing, this book focuses on linear prediction. The theory of vector linear prediction is explained in considerable detail and so is the theory of line spectral processes. This book was developed for a course entitled 'Signal Processing Methods in Musical Acoustics'. The text was created primarily as a research preparation and dissemination vehicle intended for graduate students in computer music and engineering. This graduate-level text augments and extends studies of signal processing, particularly in regard to communication systems and digital filtering theory. Topics include filtering, linear systems, and estimation; the discrete-time Kalman filter; etc.